Potaro Strikers FC Under-17 Team. GFF/BFA Male Seniors, GFF/Namilco Flour Power Under-17 and the GFF/Pele Alumni/Frank Watson Under-15. Following a decade of the absence of a senior league in Bartica, local football clubs and other stakeholders are welcoming this new initiative with enthusiasm, sparking high expectations for the 2019 season. 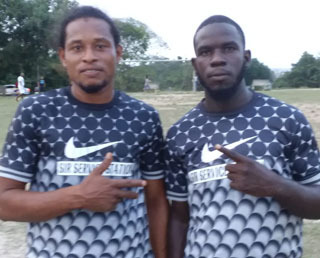 In the opening match, Rivers View defeated Rising Stars, 2-1; sixteen year-old Cleavon Murray opening the league scoring in fine style for Rising Stars. In other matches that followed, Potaro Strikers sunk Beacons 3-0; Lazio defeated Mil Ballers 2-0 and Wolves United came back from one down to overcome Agatash United, 2 -1. Lazio and Rising Stars contesting their second match saw the former triumphing, 2-0. In Under-17 action so far, Lazio and Mil Ballers drew 1-1 in the opening fixture while in subsequent matches, Potaro Strikers defeated Beacons 3-1 and Rising Stars thumped Rivers View, 3-1. 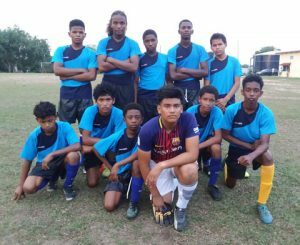 Frank Watson Memorial Under-15 games also got off to a great start with Potaro Strikers overcoming Beacons 3-2 while Rising Stars swamped Rivers View, 6 -1. Play in this category will intensify this weekend. Meanwhile, a system of rotation has been worked out for the use of the Bartica Secondary School Ground while the BFA awaits the completion of the Bartica Community Centre Ground, which is currently being transformed into a multi-purpose Sports Complex. Works are expected to be completed sometime in the latter half of April.